It can be overwhelming to figure out which ones actually matter to you and how these numbers relate to your goals. Here's a brief overview of vooPlayer insights. 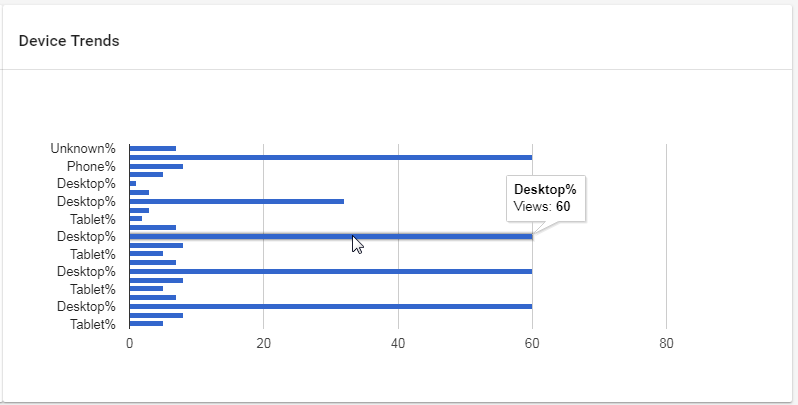 The summary bar next to the engagement graph displays overall data for the viewers of the video. 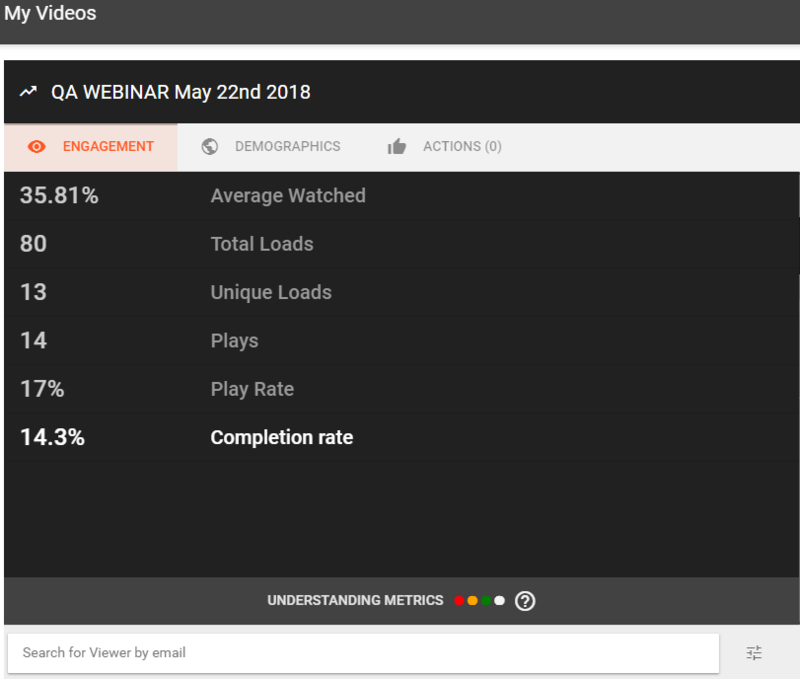 You can use this for high-level data comparison—like percent of viewers who clicked play, percent viewed, and total time watched. Confused about how we got these numbers? Here's a quick summary of what each metric is. Total Loads - Total amount of times the video is loaded on any page. Unique Loads - The unique amount of times the player has been loaded. For example, a video that embedded on a page is loaded 20 total times by 10 visitors and each visitor loaded the video twice. In that same example there are 10 unique loads. Play Rate - We take the total number of plays and divide it by the page loads. We calculate loads as anyone who loaded the player on your page, synonymous with your webpage loads. Total Plays - Total plays shows you the raw number of people who clicked the play button on your video—no matter how long they stuck around. We use total plays to calculate play rate. Completion Rate - Number of times that a video plays to its completion. Percentage of a video that is watched by a user. For example, if a user watches 20 seconds of a 30-second video, the video view rate percentage is calculated as 66.66%. Completion rate is calculated based on Plays, not total loads. Avg. Engagement - The average engagement for your video's playback that shows you how much attention your viewers are paying to your content. Engagement is calculated by looking at the total plays and multiplying that number by the length of the video. This gives us the total amount of time your audience could have spent watching your videos (or 100% engagement rate). Then we take the actual time people spent watching the videos (hours watched), and divide that by the first number. Hours Watched - Actual time people spent watching the video. Engagement graphs show how the audience as a whole has viewed your content, whereas viewer-based heat-maps show how an individual watched your video. 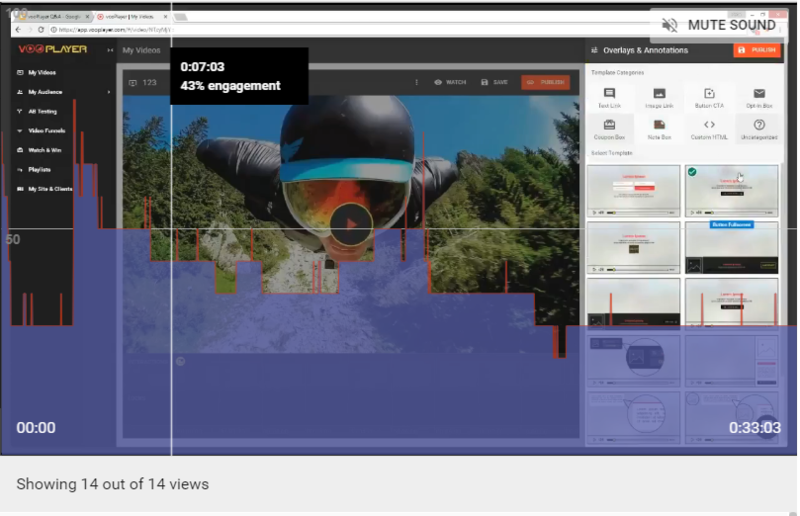 The engagement graph allows you to see how your whole audience is watching your content. You can see which sections of your video your viewers rewound and watched multiple times, and which sections they stopped watching. Drop offs show where your audience stopped paying attention, and big spikes indicate a section of the video that people found compelling enough to re-watch. The blue section of the engagement graph shows the engagement of viewers who clicked play on the video. The orange section on top shows the number of times that section of the video was re-watched. Move your cursor over the graph (from left to right) to see the specific information and frame in the video, and click the graph to play the video from that point. All of this information can help you optimize this video and guide you in making videos to better engage your audience in the future. * Chapters in Engagement Graphs coming soon. 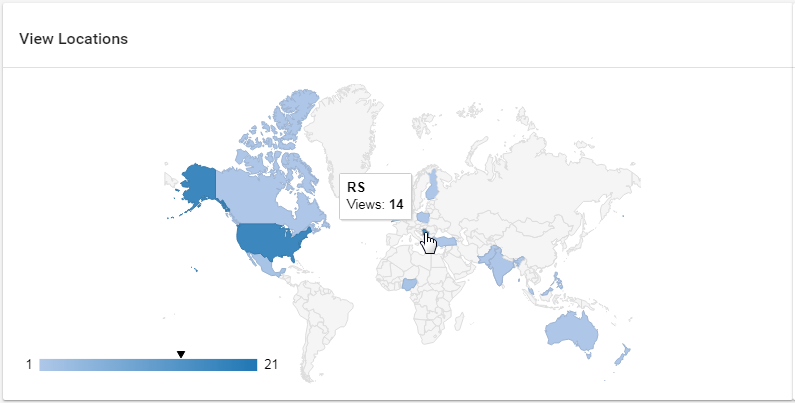 A video heatmap is a graphical representation of a single viewing session of your video. Each public viewer of a vooPlayer video is assigned a heatmap, which shows the specific interaction they had with the video. Heatmaps are a powerful tool for understanding how certain users watch your videos. Is there a specific topic that is interesting to viewers from your email campaign? Do international viewers tune out quicker than local ones? When are the most engaged viewers watching your videos? This information and more can be derived from heatmaps. If you're building a site with video, or just testing things out, you've probably loaded (and played) your videos a few times. This means your stats might be a bit skewed.